You start with the gun manufacturers. Then, you have the dealers. Next comes law-abiding gun owners. 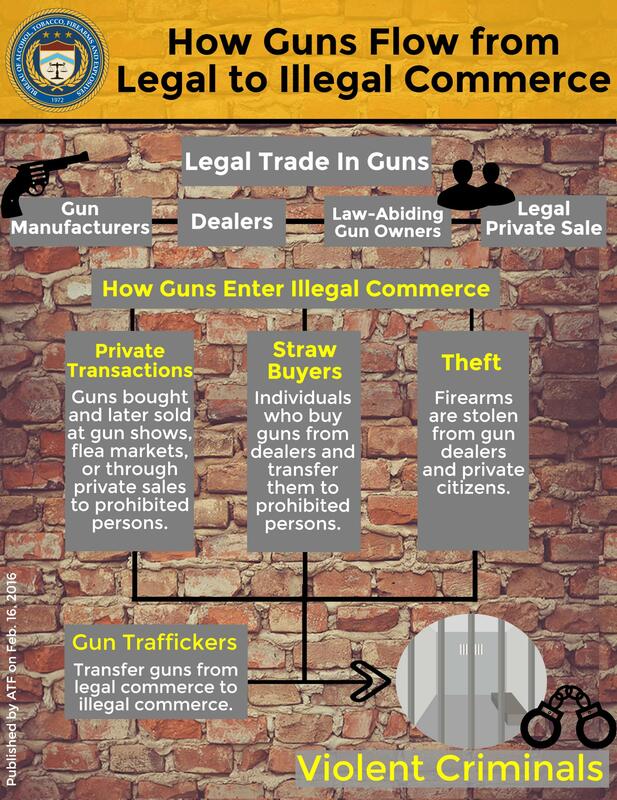 Guns enter illegal commerce through one of three ways. By private transactions in which guns bought and later sold at gun shows, flea markets, or through private sales to prohibited persons. By straw purchasers who are individuals who buy guns from dealers and transfer them to the prohibited persons. By theft where firearms are stolen from gun dealers and private citizens. Gun traffickers transfer guns from legal commerce to illegal commerce and are considered to be violent criminals. Published by ATF on February 16, 2016.